Is S Eric Berry the veteran help the Cowboys need? 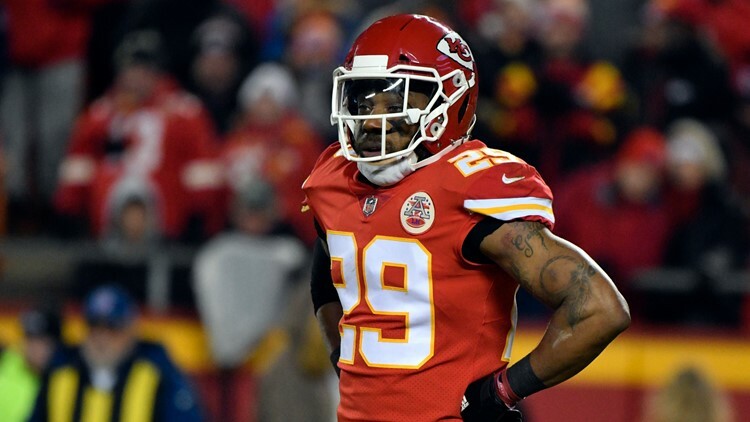 The Dallas Cowboys couldn’t land Earl Thomas to ease their desire to upgrade at safety but rumor has it they’re looking at another veteran in Eric Berry to potentially fill the need. The Dallas Cowboys may have not been able to connect with Earl Thomas, but they are a team that still thinks they could use a little veteran help at safety. According to Ian Rapoport of the NFL Network, the Cowboys are bringing in former Kansas City Chiefs safety Eric Berry for a free agent visit. Berry is entering his 10th NFL season after being taken fifth overall in the 2010 NFL Draft. For his career, the former Tennessee Volunteer has recorded 448 combined tackles, intercepted 14 passes, returned five of them for touchdowns, knocked away 54 passes, forced four fumbles, recovered two more, and sacked the quarterback 5.5 times through 89 games. If the four-time Pro Bowler and three-time All-Pro is so good, then why is he available? That is the catch. The reality is Berry has played in three games total since 2017. In Week 1 of 2017, he tore his Achilles. Recovering from an Achilles injury is hard enough, but it is even more difficult when an athlete is in their late twenties, and that is where Berry had even more trouble getting back to form. A bone spur in the same heel where the Achilles was ruptured compromised his recovery, and the All-Pro wasn't able to make it back until Week 15 in 2018. In his limited time, Berry had only 11 combined tackles. However, in the AFC Championship game versus the New England Patriots, he had five combined tackles. Even after his time missed, the Chiefs started him on the back end and didn't ease him in as a rotational player signifying the belief that he’s still got something to offer. Dallas could use playmaking at the safety spot. Xavier Woods was tied with linebacker Leighton Vander Esch for most interceptions in 2018 with a grand total of two. Jeff Heath was the only other safety with a pick, and he had just one. Though a fan favorite, Heath doesn't have the consistency on the back end to be a Pro Bowl-level starter, not the way that Berry has proven in his career. The problem with Berry is his age and the wear and tear his body has endured as he is in the advent of his 10th NFL season. Is signing someone like Berry worth the price when he can't make it through a full season? If there is one thing about Berry to take note, it is that he has shown resilience in bouncing back from season-ending injuries. In 2011, he blew out his ACL in Week 1, yet returned in 2012 to snag his second Pro Bowl selection. His most famous example of overcoming a season-ending injury was in 2014 when he was diagnosed with Hodgkin's lymphoma and missed the remainder of the season. Berry came back in 2015 at a high level, earning a Pro Bowl and All-Pro selection, and following it up with the same honors in 2016. Jason Witten is surely on board with Berry's leadership and his quality as a person. Both being former Volunteers, the two no doubt have a connection, and one that was strengthened after Berry's cancer diagnosis. Not that Witten would have same-level input to the acquisition of Berry as, say, secondary coach Kris Richard and defensive coordinator Rod Marinelli, but it does show that he has likely already earned the respect of at least one player with a corner locker. One of the considerations when it comes to bringing in free agents like Berry is whether or not they will be progress-stoppers to young players on the roster. It is safe to say Dallas knows what they have in Woods, and he should be secure at the free safety spot. But Kavon Frazier is entering the final year of his contract. The Cowboys know what they are going to get with Frazier, and there may not be a whole lot of ceiling left. If Dallas signs Berry, they need to bolster the acquisition with a draft pick. If something happens to Berry, then the rookie can step in while the Cowboys go back to cobbling up a solution with Heath on the back end. Then, if Berry makes it through the season, then the Cowboys already have his replacement on the roster. If Dallas can manage this outcome with a team-friendly deal, then they need to take it. After missing out on Earl Thomas, do you think the Cowboys should make a play for Eric Berry to shore up the safety position? Share your thoughts with Mark on Twitter @therealmarklane.